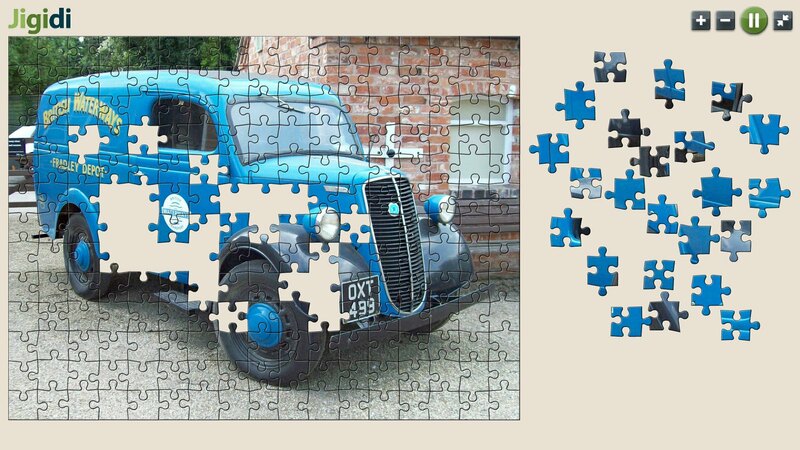 I've come across a very nice online jigsaw puzzle website. 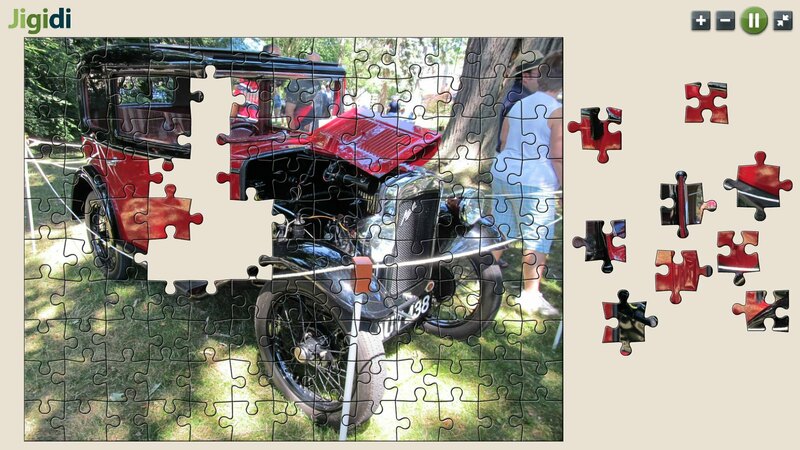 They have tons of puzzles, and puzzle fans are uploading more puzzles by the minute. Here's one I was working on earlier today. Excellent find Brian and as my wife enjoys jigsaw puzzles these won't take up all the space on our dinning room table!!! If you search All Files, at Flightsim, for puzzle kennewell, you will find 39 classic aircraft-themed jigsaws. I know I mentioned these years ago, but some folk may not have heard of them. I used to have them all on my work computer, in a folder named "Stress Management Utilities"
A Happy New Year to yez, too. 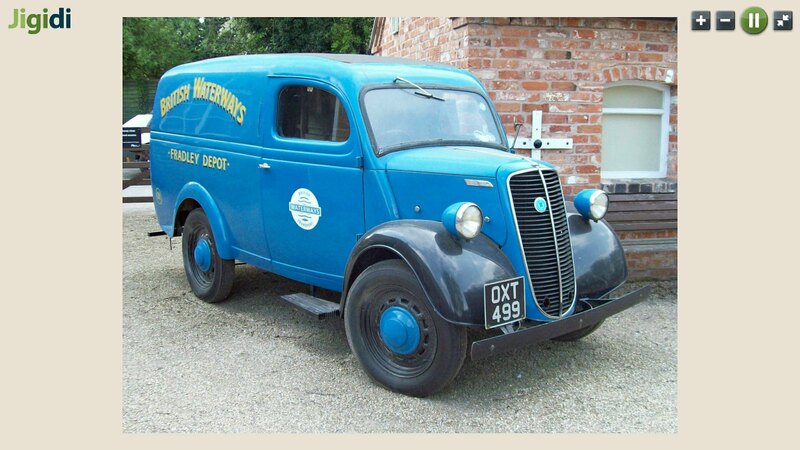 Seeing the Ford Thames van brought back a flood of memories for me, that was the very first vehicle we owned, my pop installed 2 old car bench seats in the back..not bolted down either!! and off we went on holidays, 5 kids + mum and dad, no seat belts or air bags and I'm still here lol. my pop installed 2 old car bench seats in the back..not bolted down either!! and off we went on holidays, 5 kids + mum and dad, no seat belts or air bags and I'm still here lol. Those were the days, not much traffic around (apart from rush hour) cars vans and lorries were much slower, very few boy racers around except those who had the Mini Cooper or sports cars, altogether as I remember it from the time my father owned an Austin A7 a drive out somewhere was at a leisurely speed. 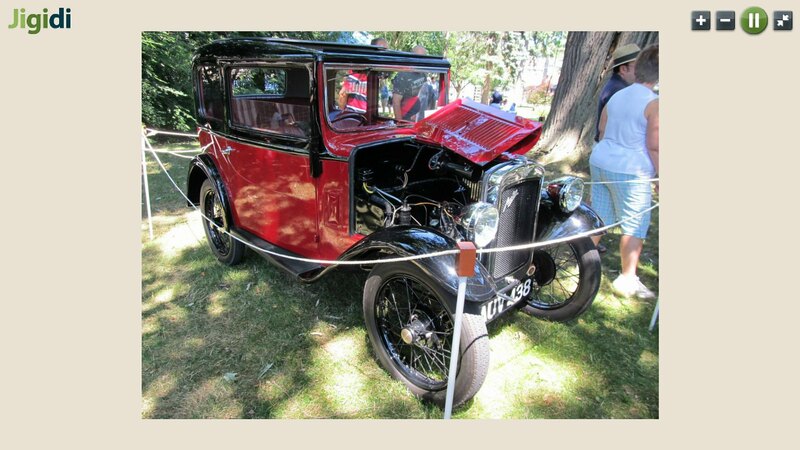 Is this the Austin you speak of Nigel? Thanks to Brian and MikeW! I have the old aeroplane/bike kit puzzle on a disk which is currently inaccessible. I was doing the Miles picture, took a break, and a thunderstorm flashed the power enough to wipe it. Pity they don't let you save your progress. It was fun while it lasted. 1 hour 51 minutes till the fireworks; I think I'll go and read some more "Hidden life of trees". If you create an account on Jigidi you will be able to save your progress. All you have to do is provide a user name and password. Simples!